Interested in a more efficient pool pump, heater, filter, etc.? 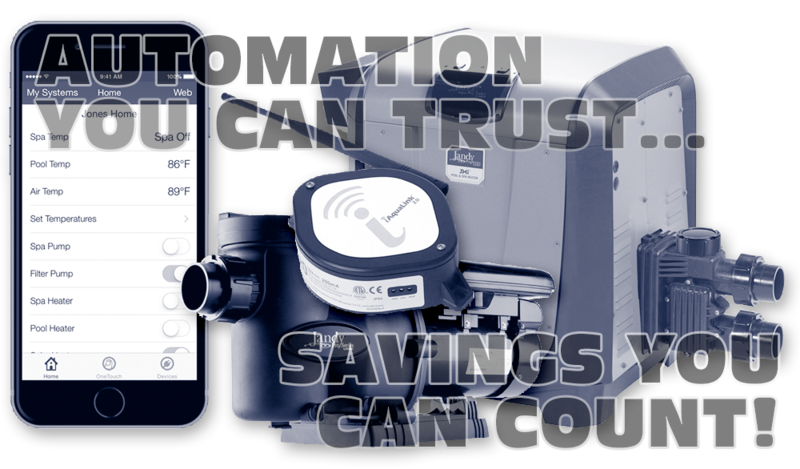 Want to save some money running your swimming pool? There are a number of ways you can do that, starting with your swimming pool pump. 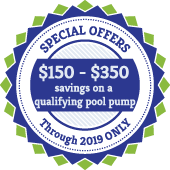 By replacing your old pool pump or installing a variable speed pump with your new pool or renovation, you can save more than 50% on your annual pool-related energy costs, equaling hundreds of dollars each year. Multiply that by the expected lifetime of a newly installed pump, and that becomes thousands. Replace your older single-speed pump with a multi-speed or variable speed pump, and save energy while enjoying your pool, with $150 – $350 rebate on a qualifying pool pump! Variable-speed pumps operate at different speeds to deliver water flow according to the operator’s needs. Operating at slower speeds reduces power consumption, energy costs and noise, all while extending the life of the equipment. Reviewing all aspects of your pool’s operation will help you determine if replacement of existing equipment will have long-term paybacks and benefits. For new construction and renovations, advances in current technology are available to reduce energy consumption from day one. Energy costs are predicted to rise in future years, making it crucial for homeowners and commercial swimming pool operators to understand their current energy use and implement strategies today to reduce future demand. Contact us today at 631.242.2667 or use our convenient Contact form to find out how we can help with your backyard or swimming pool facility needs!